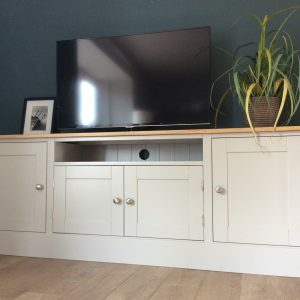 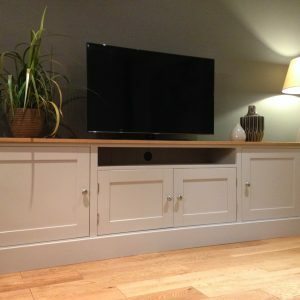 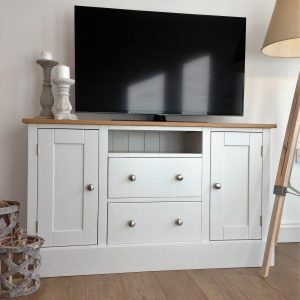 THIS STUNNING TV UNIT IS DESIGNED FOR THOSE OF US THAT DON’T WANT OUR TV ‘S ON SHOW ALL OF THE TIME. 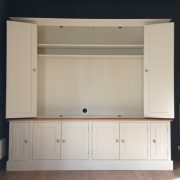 WITH BIFOLDING DOORS WHICH OPEN OUT WHEN THE TV IS IN USE AND HIDE IT AWAY FROM SIGHT WHEN IT’S OFF! 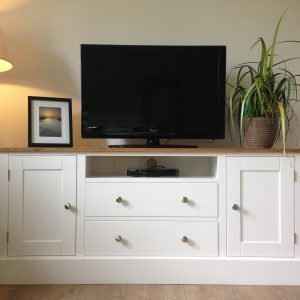 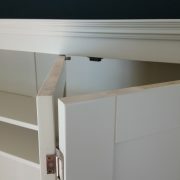 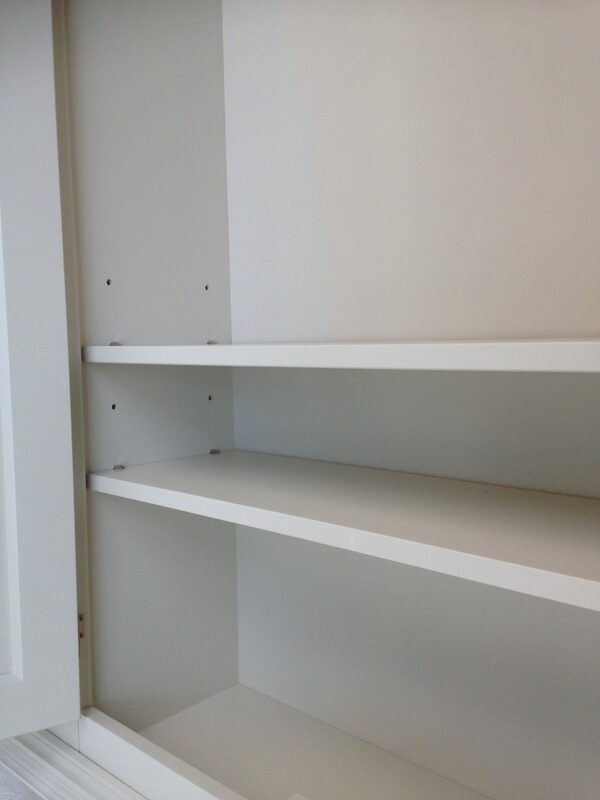 AS WELL AS FUNCTIONAL THIS IS A BEAUTIFUL DESIGN AND A STUNNING PIECE OF FURNITURE. 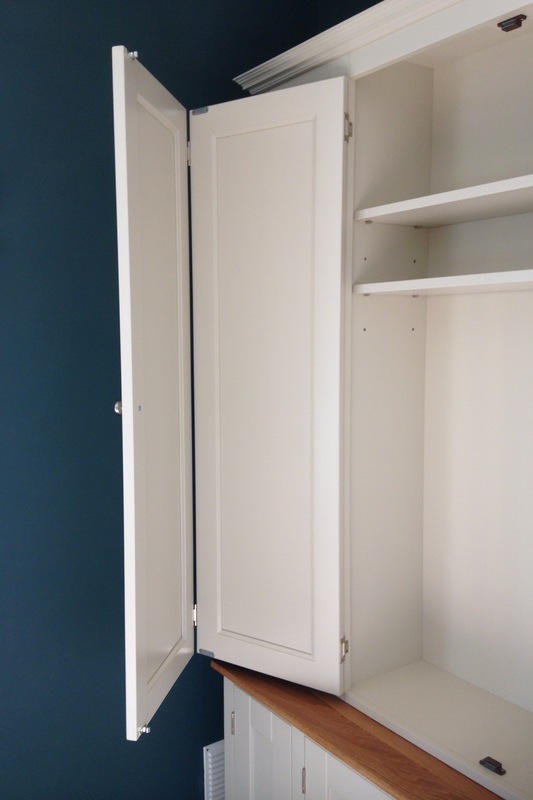 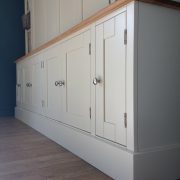 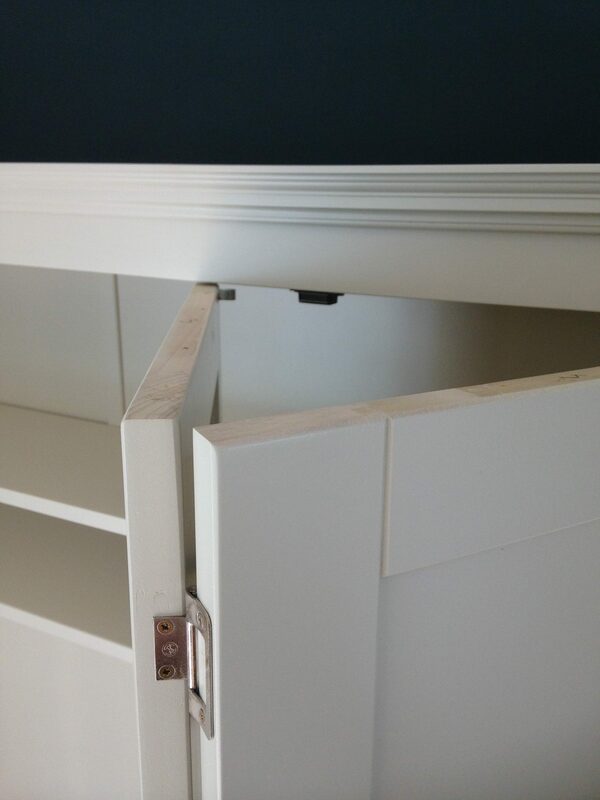 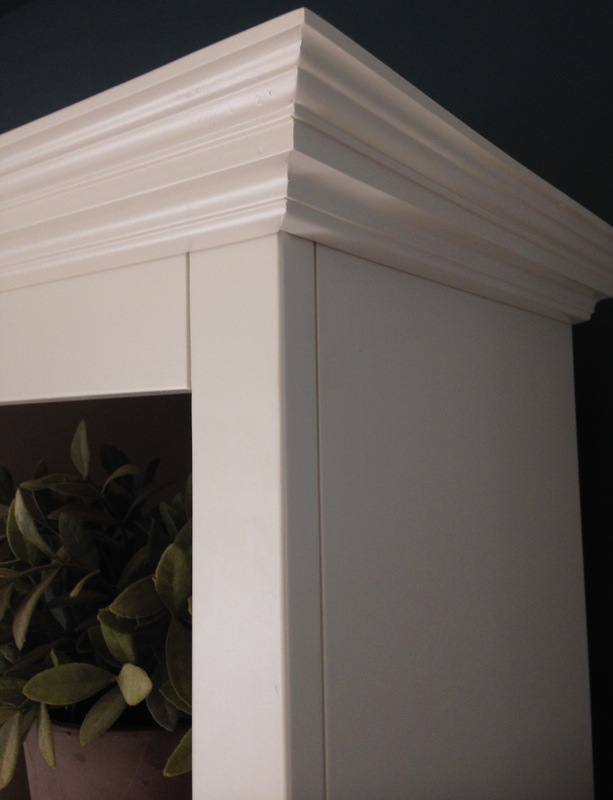 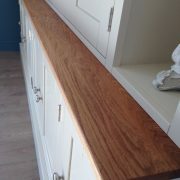 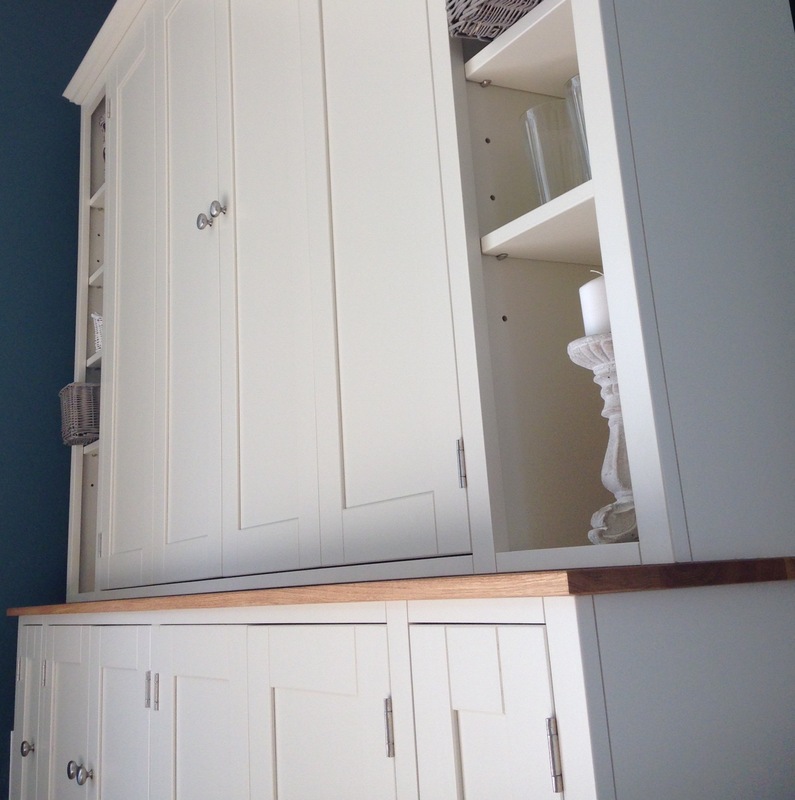 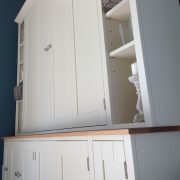 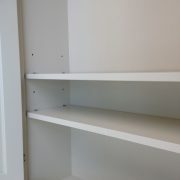 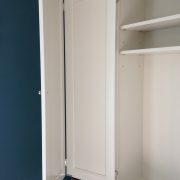 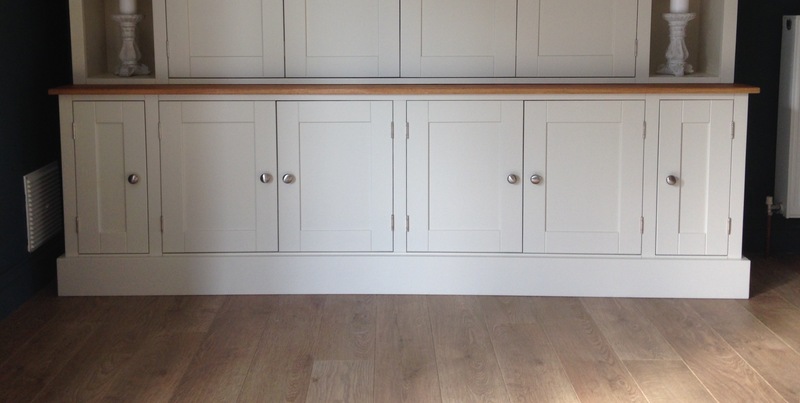 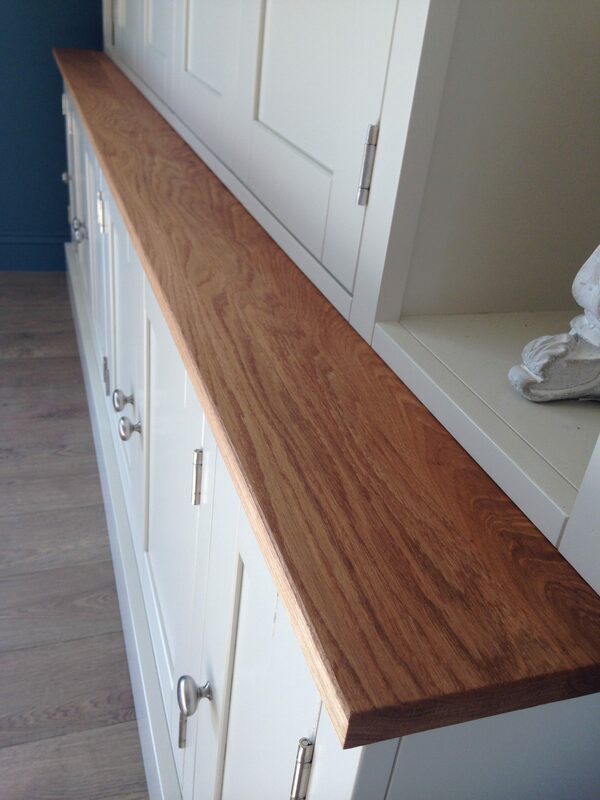 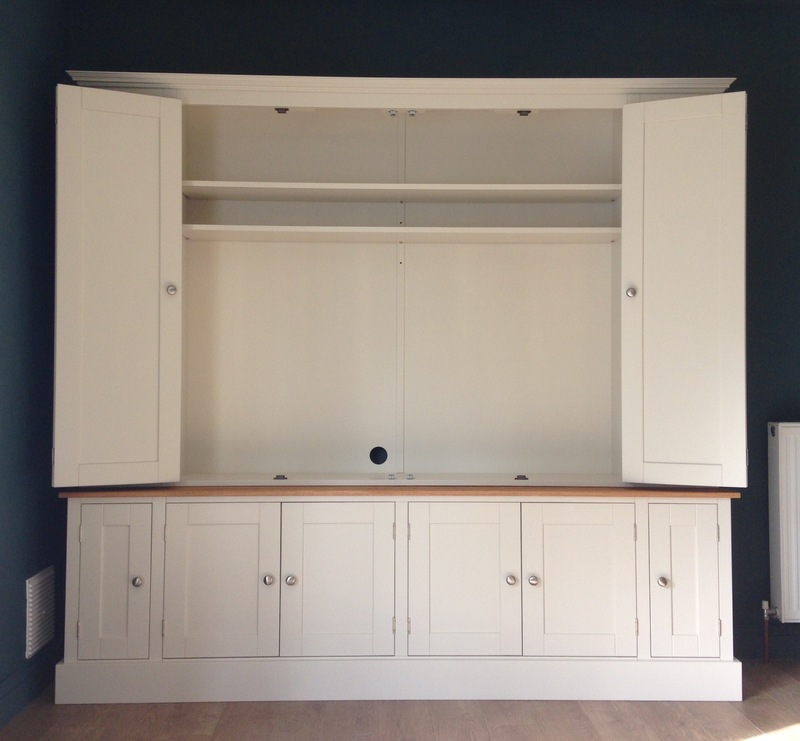 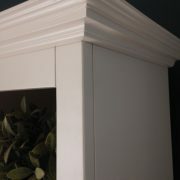 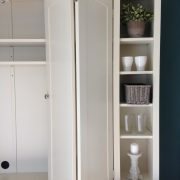 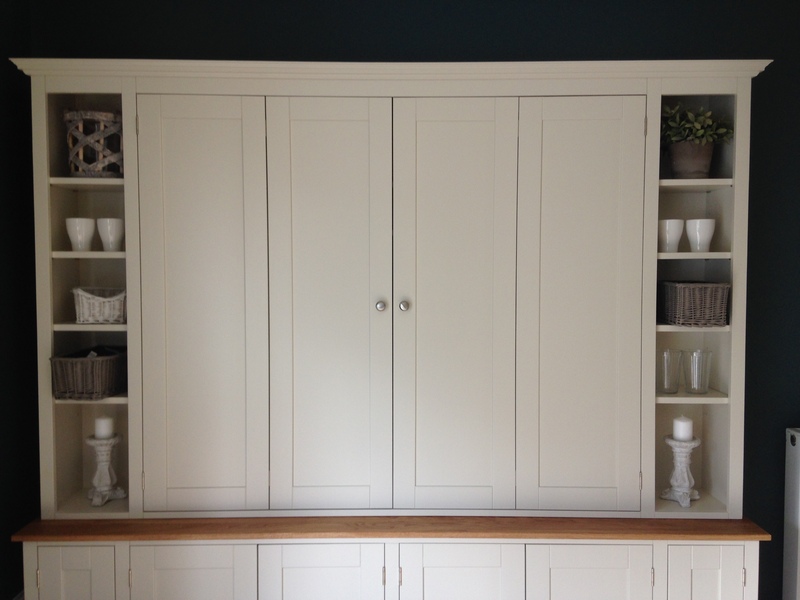 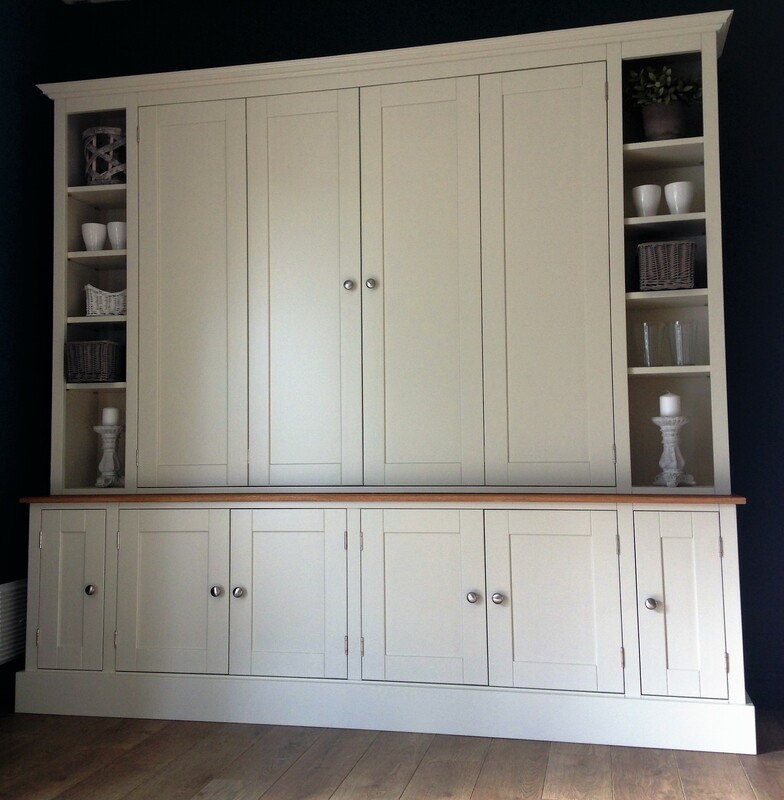 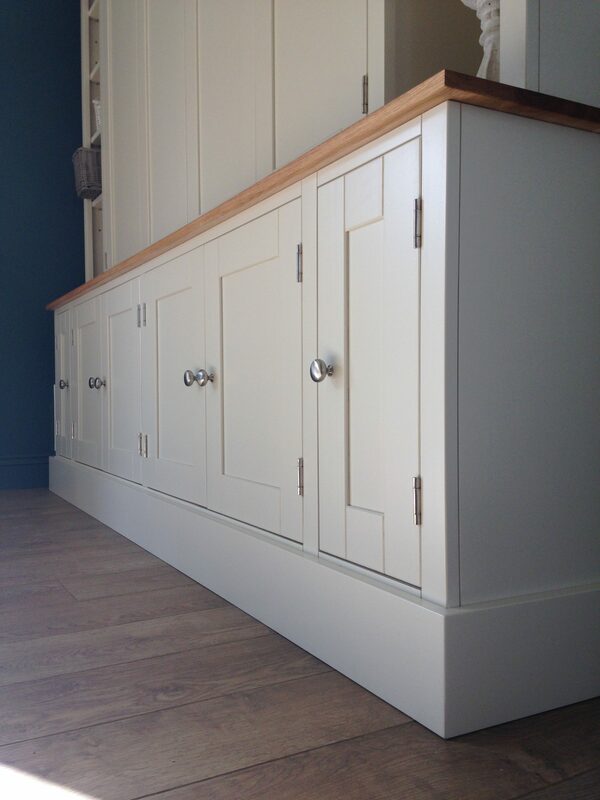 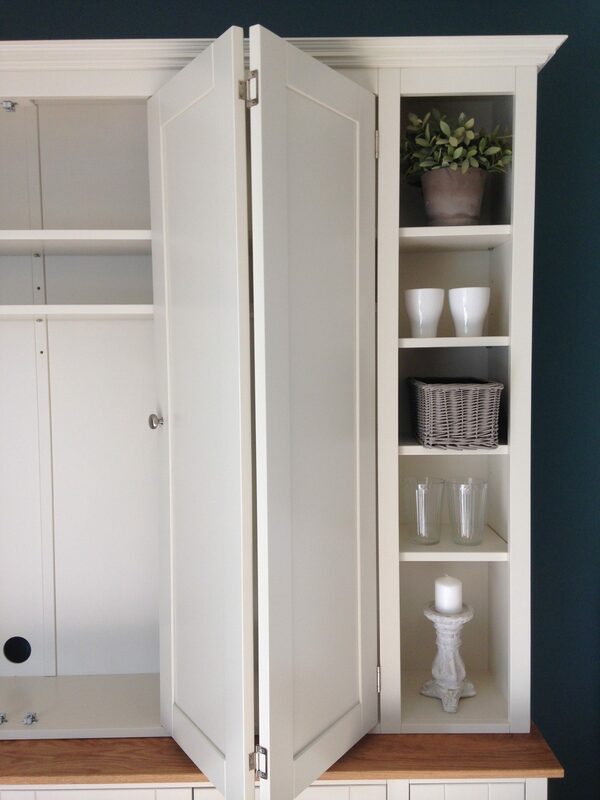 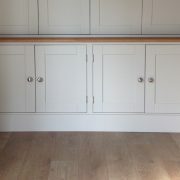 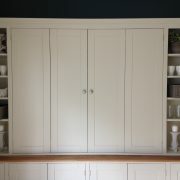 MADE OF SOLID PINE WITH A SOLID OAK WORK TOP AND PAINTED IN ANY FARROW AND BALL COLOUR.